During this month of Mary, we celebrate the great day known to us MOTHER’S DAY. It is a day where we honor those women in our lives that cared for us in the womb before we were born, that nurtured us and supported us as young children, that watched us take our first step and, cried when we went to school for the first time. It’s a day where we say thank you to the women who washed our clothes, cleaned up after us, shopped for our food, and were just always there with love and prayers. Thank you to all the mother’s out there that chose life and that continue to choose life today. You are all beautiful witnesses to a world that does not value human life sacred. Thank you for being Pro-Life! As an example of great motherhood, we have our Lady, the Blessed Virgin Mary. 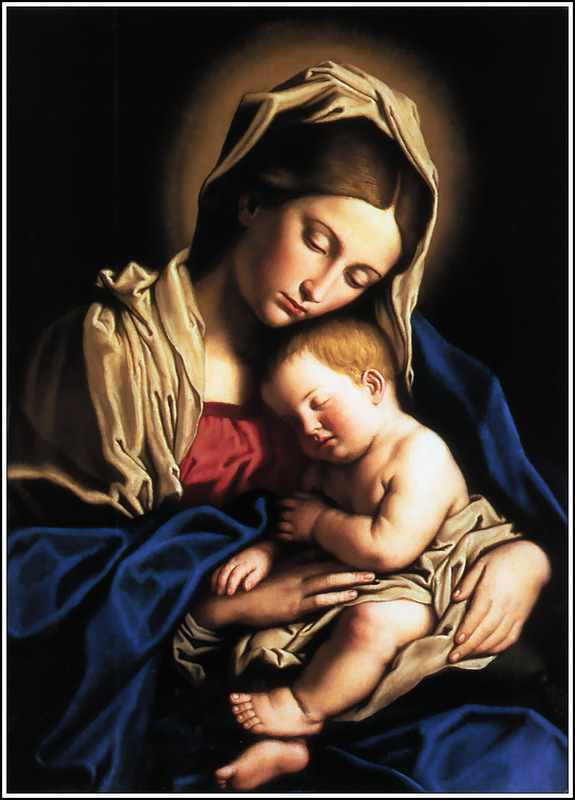 We honor her during this month for not only being the Mother of our Lord, but we honor her for being our Mother. Jesus gave her to us, through St. John, while he was on the Cross at Calvary. Mary is our Queen Mother. She intercedes for us and brings our petitions to our King – Jesus Christ. Someone who knew the great love of Mary’s love was Blessed John Paul II. When his own mother passed away, he asked the Blessed Mother to be his Mother. Please read – Mary, Motherhood, and Blessed John Paul II. I hope you can read it and share it with others. Also, please watch the video below and share with your family and friends – it’s very touching. It’s a great example of artistic license with the life of Christ. To my own mother – I say thank you for the continued support even in my adult years. Your love and prayers are felt in the most difficult times. To my sister – watching you with the baby is amazing. You are a great mother and support her upbringing so well.